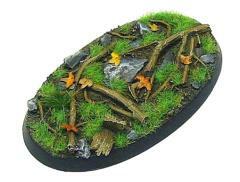 This set contains 1 oval 60x35mm scenic base with a Windfall theme. Supplied unpainted. Additional scenic materials in pictures not included.